AirTime is very quality webcam chat site which offers a high quality webcam view to your partners and yourself. You should register to AirTime with your Facebook account. A Facebook account for AirTime is required. Othwerwise you won’t able to use AirTime. AirTime is much better than other chat roulette sites. You will also able to use AirTime as a chat roulette too and you can chat with your Facebook friends in AirTime. You can already search for a new contact too. You should be 18 years old at the least or higher for chat in site. There are 3 columns at AirTime. Dashboard, Profile and Talk to Someone. In Dashboard you will able to see popular videos of the day. In profiles, you can edit and review your profile. 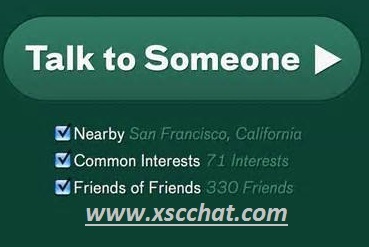 You can click on “Talk to Someone” when you want to begin to someone random. You can find a suitable partner in AirTime. The site is only in English and there’s no any other language option. If you interest to meet someone from facebook, AirTime will be a good option for you. It’s secure and quality webcam chat site.